Nearly 60 percent of all new cars sold in Norway in March were wholly electric, the Norwegian Road Federation (NRF) stated on Monday, a global record as the country looks forward to end fossil-fueled vehicles sales by 2025. Exempting battery engines from taxes enforced on diesel and petrol cars has upended the country’s auto market, elevating brands such as Tesla and Nissan, with its Leaf model, while damaging sales of Toyota, Daimler and others. In 2018, Norway’s fully electric car sales increased to a record 31.2 percent market share from 20.8 percent in 2017, much ahead of any other nation, and buyers had to wait as producers were having hard time to keep up with demand. 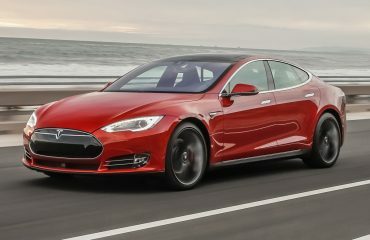 The rise of electric cars to a 58.4 percent market share in March came as Tesla increased delivery of its mid-sized Model 3, which retails from 442,000 crowns ($51,400), where as Audi started deliveries of its 652,000-crowns e-tron sports utility vehicle. The sales figures consolidate Norway’s worldwide lead in electric car sales per capita, part of an attempt by Western Europe’s biggest producer of oil and gas to find another source of economy. The International Energy Agency (IEA), which consists plug-in hybrids when calculating electric car sales, evaluated Norway’s share of such cars at 39 percent in 2017, much ahead of second-placed Iceland on 12 percent and Sweden on 6 percent. In China, the market share was 2.2 percent in 2017, and in the United States it was only 1.2 percent, IEA data revealed. While the statistics will differ from month to month, half of all cars sold in 2019 in Norway will probably be completely electric, the head of the Norwegian Electric Vehicle Association (NEV) stated. “We are pretty sure we are going to reach 50 percent market share in total this year. Maybe even pass it, which is pretty amazing,” NEV Secretary General Christina Bu informed Reuters.